Body makeover liquid makeup. 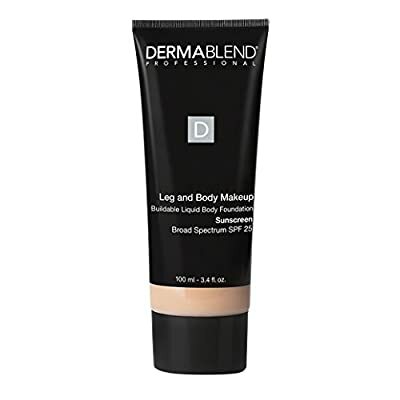 A body makeover in a tube, leg and body makeup is our buildable, transfer-resistant* liquid body foundation that can be used to cover imperfections or enhance body features for a natural, flawless look. use to easily cover up tattoos, varicose veins, stretch marks, scars, and bruises. Our leg and body makeup contains high-performance pigments to easily cover a wide-range of body imperfections including varicose veins, stretch marks, tattoos, scars, age spots, birthmarks and bruises. its lightweight, buildable and blendable formula hydrates skin all-day and protects skin with spf 25 to provide 16 hours of comfortable wear that is smudge- and transfer-resistant*. Suitable for all skin types and available in 12 true-to-tone, fade-proof shades. never cakey or masky for an even and natural look.